At CIMSEC, we are committed to the great maritime discussions. We believe that the best way to protect the seas is to enlist more young men and women to write and debate. The maritime dialogue that you see on our pages is written by committed men and women around the world, and has had an impact everywhere from small ships in the South China Sea to wood-paneled conference rooms in the Pentagon and other maritime nations. In our increasingly global world, the issue of maritime security becomes more important each day. 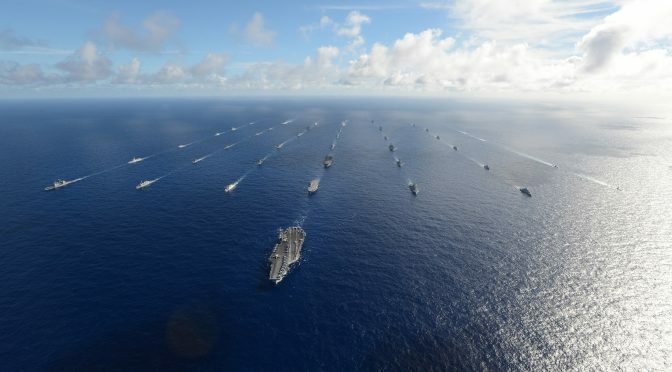 More than 80 percent of global trade travels by sea, rising powers are still attempting to exert their interests on the water, and legislative bodies and armed forces around the world are debating what their future fleets will be capable of. In order to keep these debates lively and strong for the future, we are launching our annual CIMSEC Outreach drive on Kickstarter. This winter, we will be announcing the topic for our annual CIMSEC High School Scholarship, to be awarded in May 2017. This scholarship will be presented to one rising or graduating high school senior in the United States on a topic pertinent to maritime security. Your contribution will help us bring our great maritime debates to as wide an audience as possible. It is in all of our best interests to encourage a thoroughly naval education for the next generation of maritime leaders. This year, our Kickstarter goal is a modest $750. Your contributions are entirely tax deductible. As you consider how to make a lasting impact on our world, I hope you will donate what you can to strengthening our maritime dialogue, and bringing more young men and women into the debate. Visit the CIMSEC Kickstarter page here. Roger Misso is the Vice President of CIMSEC. He is a naval officer and student at the Harvard Kennedy School of Government.